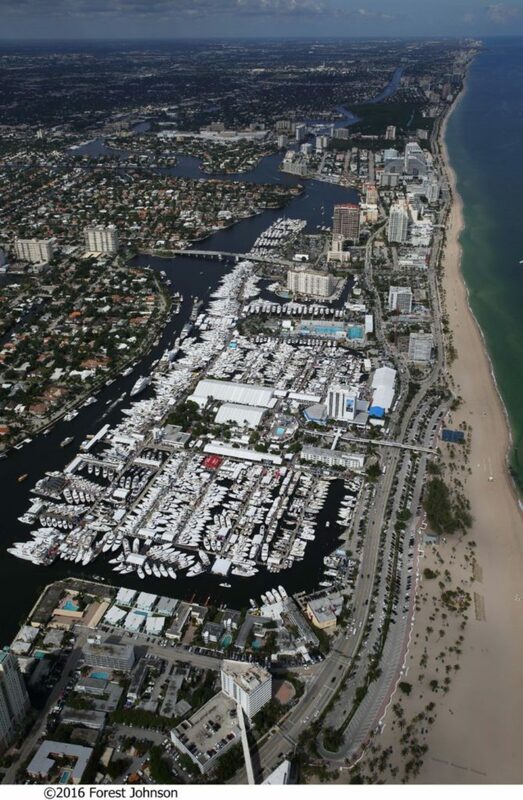 The Fort Lauderdale International Boat Show covers more than 3 million square feet of space. The 58th Fort Lauderdale International Boat Show opens Wednesday and will continue through Sunday at seven locations around the city. 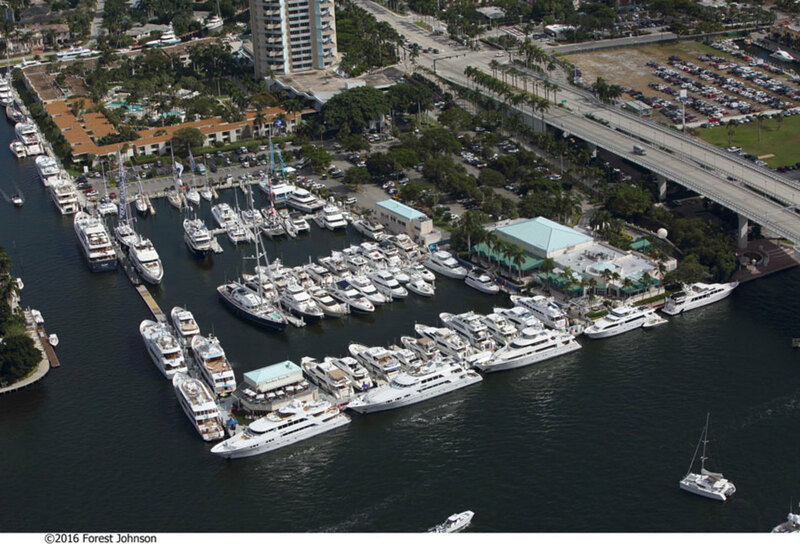 The show covers more than 3 million square feet of space at the Bahia Mar Fort Lauderdale Beach and Yachting Center, the Hall of Fame Marina, the Las Olas Municipal Marina, Hilton Fort Lauderdale Marina, Sails Marina, Hyatt Regency Pier 66 Marina and the Greater Fort Lauderdale/Broward County Convention Center. The 2017 event will be the first Fort Lauderdale show since the company that produces it, Show Management, was acquired by London-based Informa. In-water and on-land exhibits are sold out. More than 1,500 boats, including 8 miles of yachts, are expected to be on display. More than 100,000 visitors are expected. In-water and on-land exhibits are sold out. Boat debuts scheduled for the show include two Hatteras yachts — the M90 Panacera motoryacht and the GT 45X with a flybridge option model. They are making their world premieres, as are two Sea Ray yachts — the Fly 520 and Sundancer 510 Signature. Viking Yachts will have the world debut of its 93 Motor Yacht. Among overseas builders, the Ferretti Group is bringing two yachts — Ferretti Yachts’ 780 flybridge yacht and the Riva 76-foot Bahamas convertible yacht — that will have their North American debuts at the show. Organizers say the new parent company has invested in making the show better. A mile of new composite docks will improve the show’s appearance, and organizers are retrofitting composite on top of current docks. To help show visitors figure out where they are going, 8-foot and 12-foot totems will provide exhibit information. “It’s a 40-acre property, so it’s easy to get lost,” Doole said. Special sessions at the show are designed for a variety of guests. Take the Helm, hosted by the Carefree Boat Club, is a hands-on training session for boaters of all levels of experience. Courses include Basic Docking Skills; Anchoring and Multi-Vessel Rafting Techniques; Open Water Boat Handling Skills; Advanced Docking and Precision Boat Control; and Powerboating Made Easy. At the Blue Wild Watersports and Marine Art Expo, experts will talk about activities that range from freediving and spearfishing to stand-up paddle boarding and underwater photography. The annual Kids’ Fishing Clinics are presented by Hook the Future. Located at the convention center, the clinics begin at noon and 2 p.m. on Saturday, and 1 and 3 p.m. on Sunday. They are free for children ages 5 through 16 who have a ticket to the show. The International Game Fish Association will host School of Sportfishing seminars from Thursday through Sunday. Highlights include Secrets for Dolphin on Thursday, Reef and Bottom Fishing Basics on Friday, Stalking the Flats on Saturday and Big Fish on Light Tackle on Sunday. Lastly, “A Taste of Fort Lauderdale” will keep show visitors from going hungry. Local restaurants will supply a variety of food. Coconuts will provide oysters, stone crabs and beer on one of the cocktail barges and Bahia Mar’s restaurant division is going to take part, with the hotel’s deli also providing food.